The key to good cat food is its nutritional content which should mimic nutritional composition of a "natural" diet for cats. The term natural refers to anything that they can catch and feed themselves. While supplemental food is sometimes needed, the natural foods are best for the health and diet of your cat. 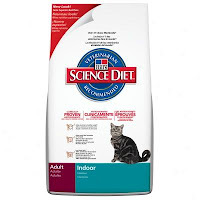 Cat food can sometimes be considered natural and contain no artificial ingredients, but it's not really a "natural" food in the same sense of what cats eat in the wild. It's been almost a month now trying to get him to switch foods and though it's going OK he still wants his old food in the mix, the good thing is that I believe it is working. He does not have that redness and swelling under his paw. I want to believe that this is all it was. 5 health reasons to not quit coffee.